The ships of tomorrow will look very different to the cruise liners of today. That’s according to new designs released by some of the world’s largest cruise companies. A group of firms, including cruise giants Carnival, Royal Caribbean and Norwegian Cruise Line, suggest that future cruise ships could sport vast numbers of solar panels. The vessels would also contain hydrogen and ammonia fuel cells, allowing them to run on completely clean energy. Get the latest news from Greater Bergen – sign up for our newsletter. The partnership, led by the NCE Maritime CleanTech business cluster in western Norway, revealed its new models at the Seatrade Cruise Global exhibition on Wednesday (10 April). The new designs were developed through a series of workshops, which included both major cruise players and design firms. The workshops came after Norway’s government took the decision to ban carbon‑emitting cruise ships from its UNESCO‑protected fjord regions. The ban, which will come into effect from 2026 onwards, will require all vessels visiting the fjords to be driven by clean power sources such as batteries or hydrogen fuel cells. 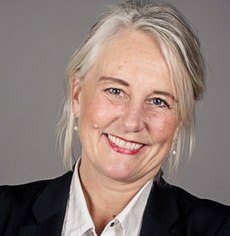 “There is a need for new and green technologies to meet stricter regulations around the world,” says Hege Økland CEO of NCE Maritime CleanTech. The firms are predicting that by 2030, vessels will look very different to the cruise ships of today. They will include a range of advanced technologies, making the ships not only more sustainable but also more comfortable for passengers. The group are envisaging mobile capsules that will detach from the main ship and zoom off on a range of day trips, giving passengers a choice of what to explore. The cruise ships of the future will also feature intelligent energy systems. Seawater will be used for cooling, while a smart “outer skin” will help to preserve heat. The cruise ships of the future will provide both sustainability and comfort. The designs were produced during a series of workshops, where cruise industry giants met with other major industry players including Wärtsilä Ship Design, DNV GL and the Port of Bergen. The workshops were aimed at providing fresh inspiration for an industry that is struggling to curb its carbon emissions. The global cruise ship sector is estimated to produce around 19,000 metric kilo-tonnes of waste carbon dioxide a year – that’s equal to the emissions of 4 million passenger vehicles per year. Carnival has pledged to reduce its carbon emissions by 25% by 2025, while Royal Caribbean is aiming to cut emissions by 35% by 2020. During the sessions in spring 2019, industry members discussed a range of ideas that could help to make cruise ships more environmentally‑friendly. NCE Maritime CleanTech is now hoping to build on the success of the project. “The concepts that have been developed will act as a platform for further innovation, and form the basis for a number of new innovation projects,” says Økland. The development work has been supported by Norwegian foundation DOGA. The participants in the development of the designs are: BKK, Teknotherm, RCCL, Cruise Norway, Bostek, Scanship, GAC Norway, Hyon, Wärtsilä Ship Design, NORCE, Corvus Energy, Bellona, Port of Bergen, Carnival, ETA Energi, MS Gann, Hydro Extrusions, NCE Tourism Fjord Norway, NCL, Prototech, Yxney Maritime, Østensjø, Blueday, Solbære and DNV GL.